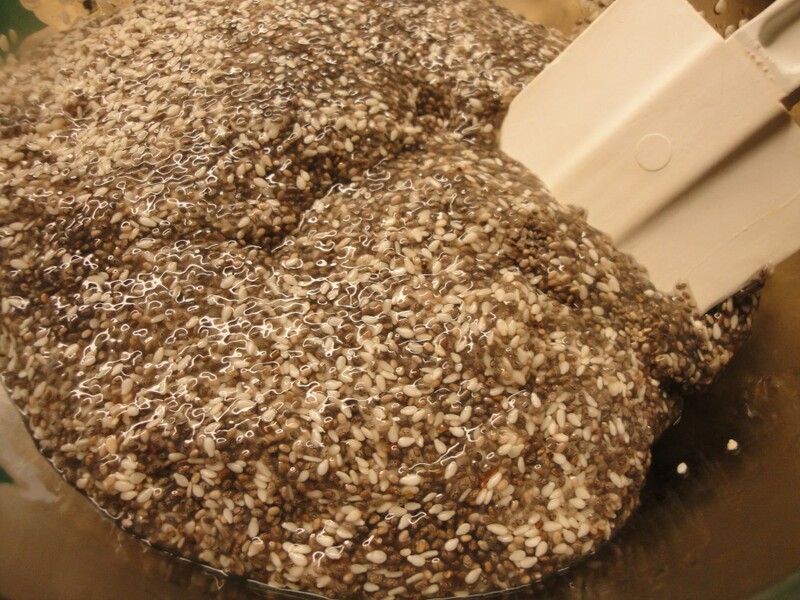 Very simple; sesame and chia seeds, filtered water, herbs and spices. This is a wonderful indulgence and so incredibly healthy! 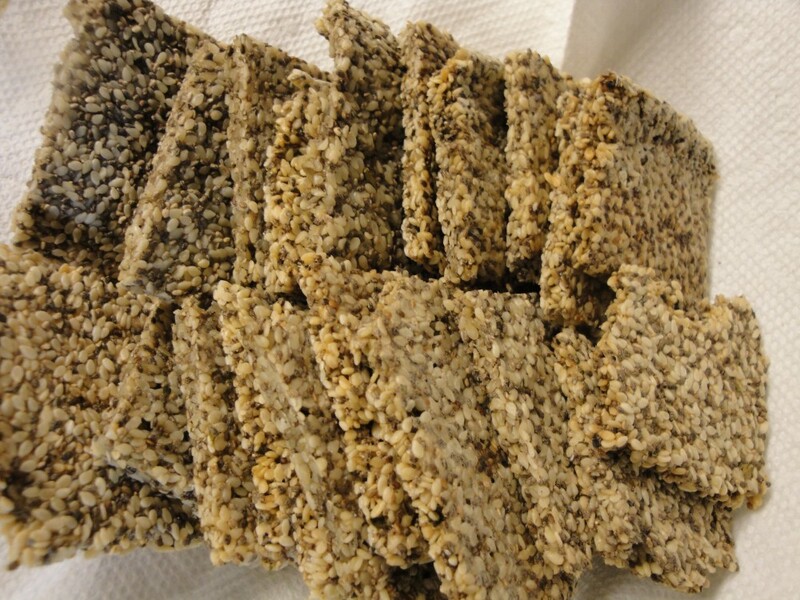 Paleo, Gluten Free, Low Carb, no added dairy, sugar, or fat, or industrial chemicals. All nuts, seeds and grains contain phytic acid which sticks in your gut. 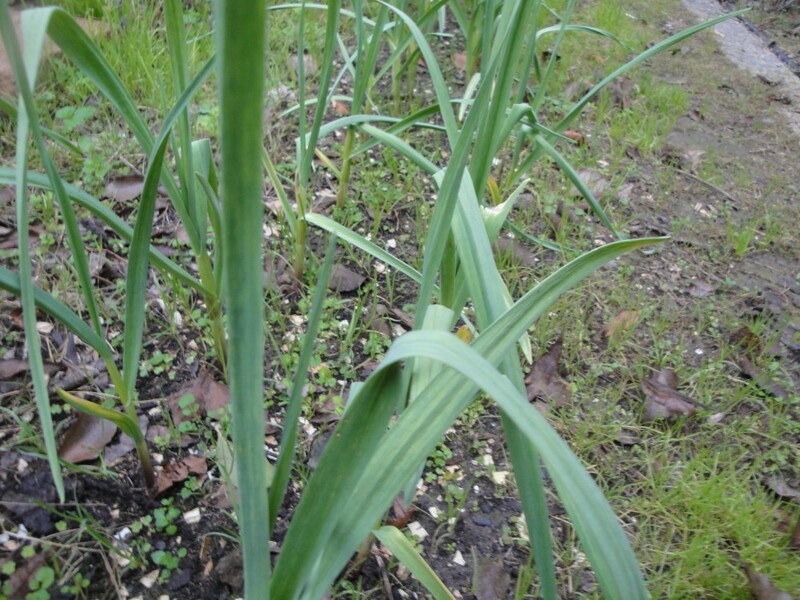 Sprouting them eliminates most the phytic acid and also opens raw nuts, seeds and grains up, making them more nutritious and digestible. 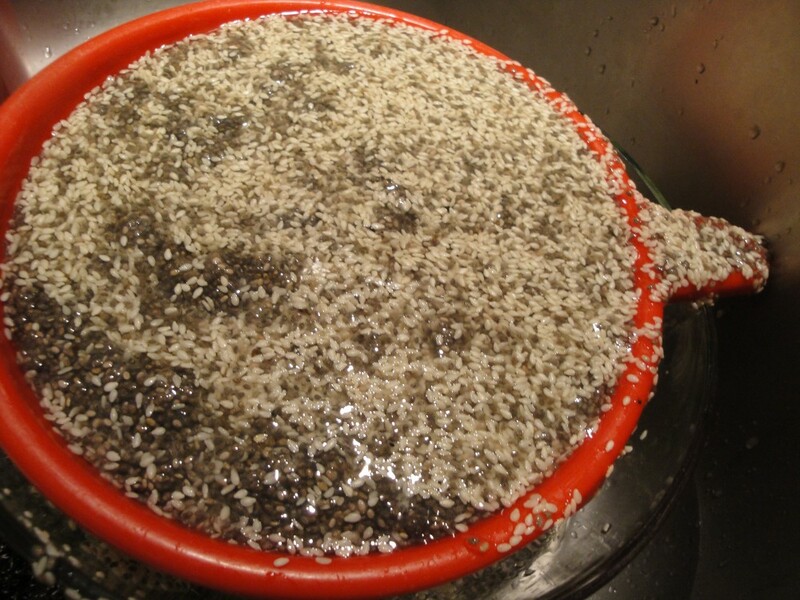 The seeds in this recipe were soaked in filtered water for about 8 hours. Excesses water was strained off. Herbs and spices were mixed in. 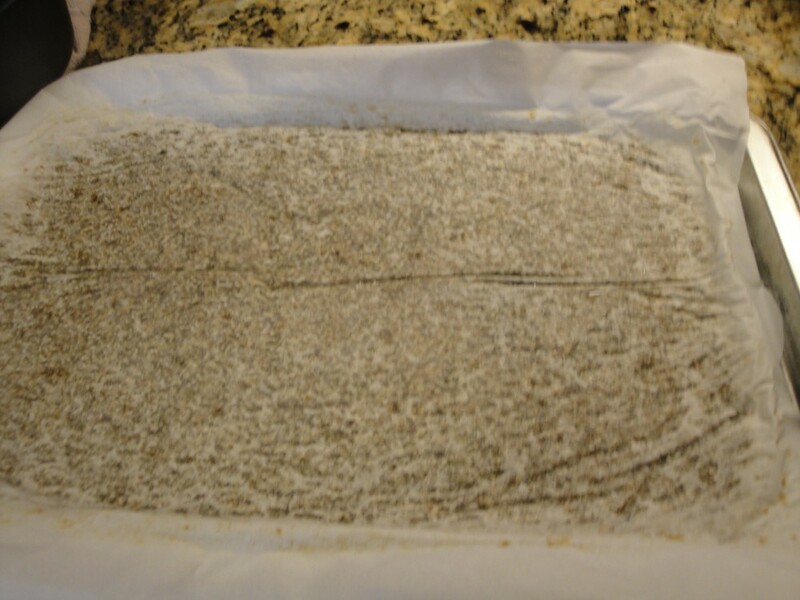 The paste was spread over parchment paper and baked in a low oven until crisp. 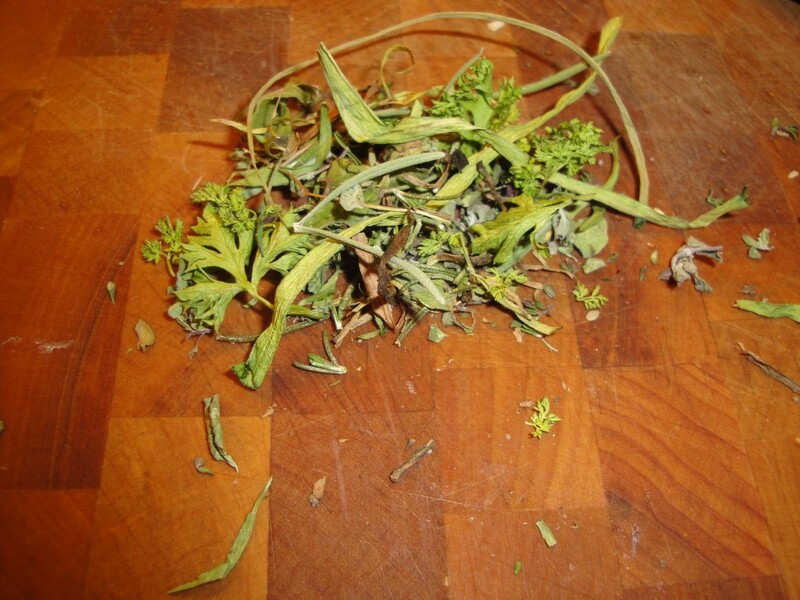 Finely chopped fresh or home-dried herbs again to your taste, I like using green leaves from garlic and other herbs growing in the garden. Option, add spices to make flavors you like, the possibilities are almost limitless. 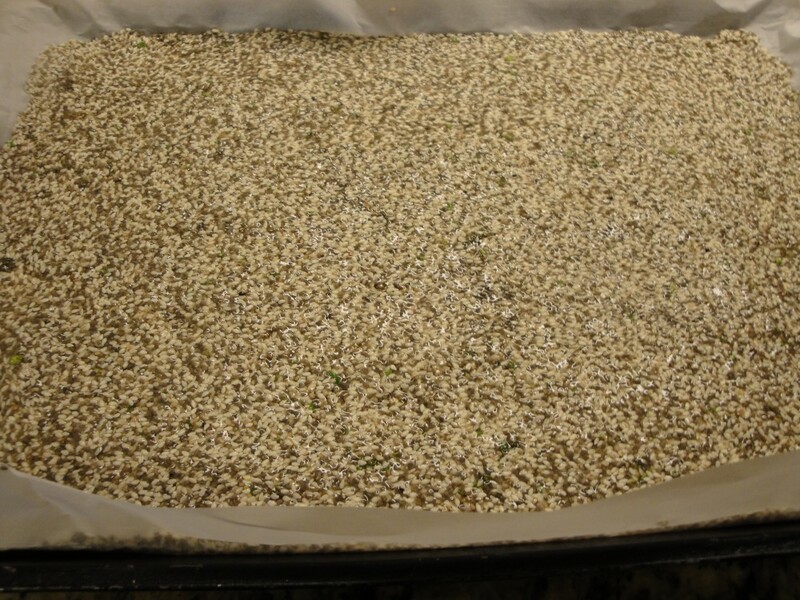 Soak seeds 8 hours. Strain. Mix in herbs and spices. 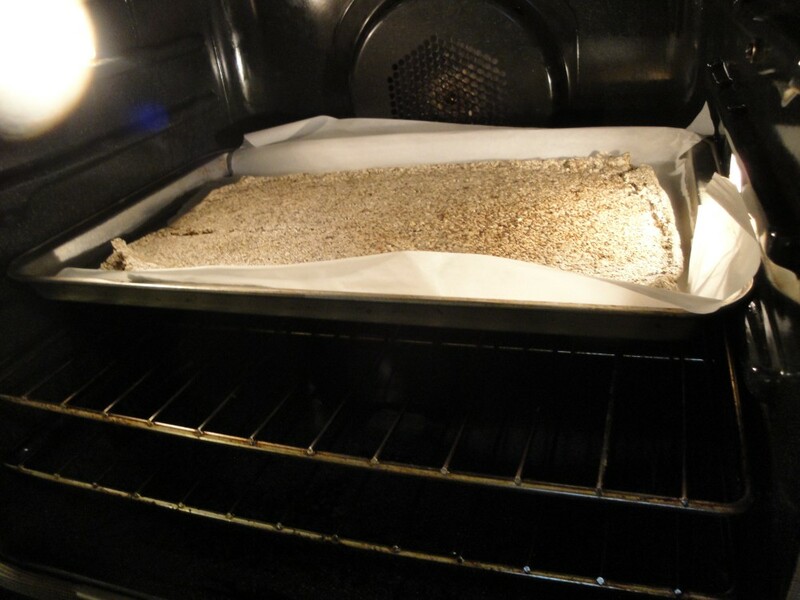 Spread evenly over parchment paper on baking sheet. Bake in 225-250 degree oven. Check every 1/2 hour or sooner if you smell burning. 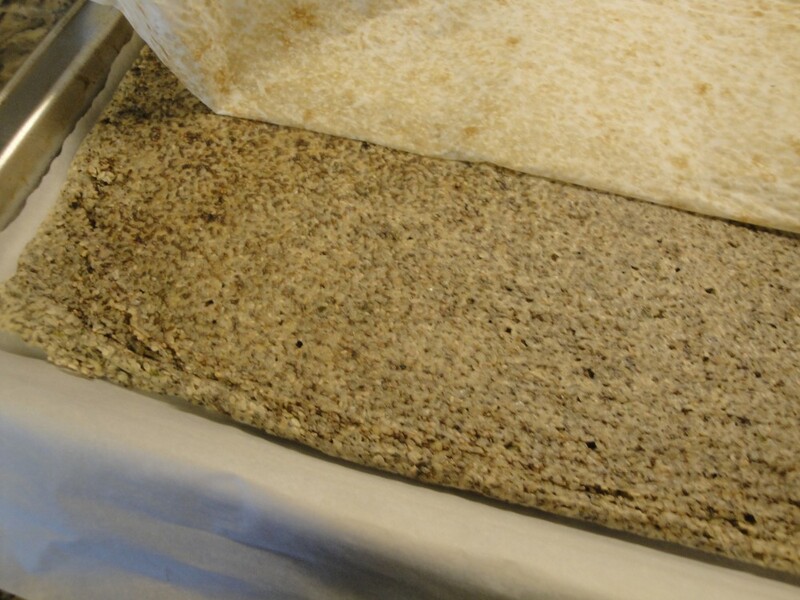 When top feels dry to touch, cover with parchment paper and flip over. 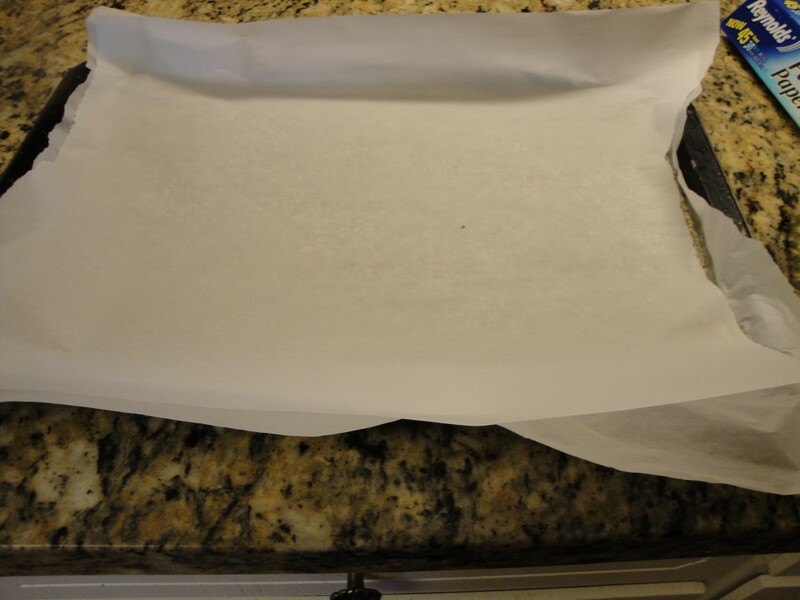 Leave parchment on until it peels easily. Bake a bit longer. The crackers are done, when crisp. Enjoy!